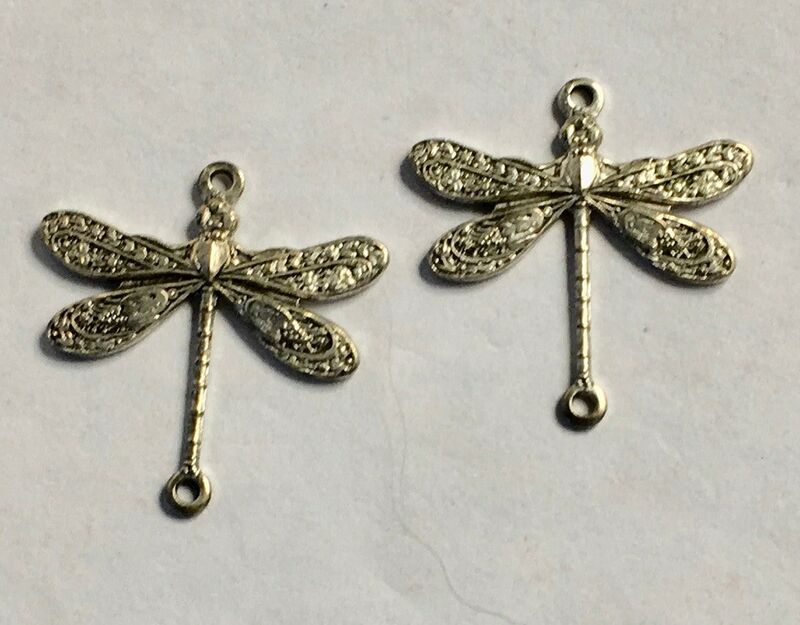 Beautiful antique silver plated brass dragonfly charm or dangle measuring 17mm x 18mm. 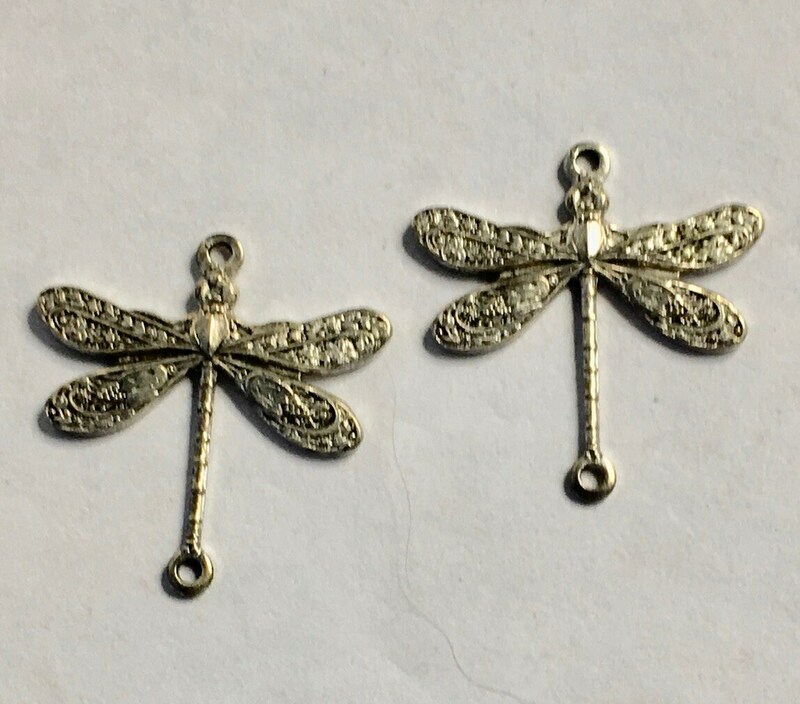 Great for vintage style jewelry. Limited quantity. You will receive 4 charms. Made in the USA. Lead free and nickel free.